The big river prawns are put in front of me at Pad Thai Ekkamai. It looks delicious and obviously something different from the usual 4 small shrimps you get most places. It comes with their homemade chili, garlic and lime sauce, something you normally don’t get most places. A delightful surprise. The big river prawn version served at Pad Thai Ekkamai comes with an egg wrapping, but I asked them to skip it as it often result in somewhat overcooked noodles. Might not have been the case here, but I decided to skip it. The noodles came out as they should, the bean sprout was fresh and the tamarind mixture added the tart this dish needs. It was all very well executed. 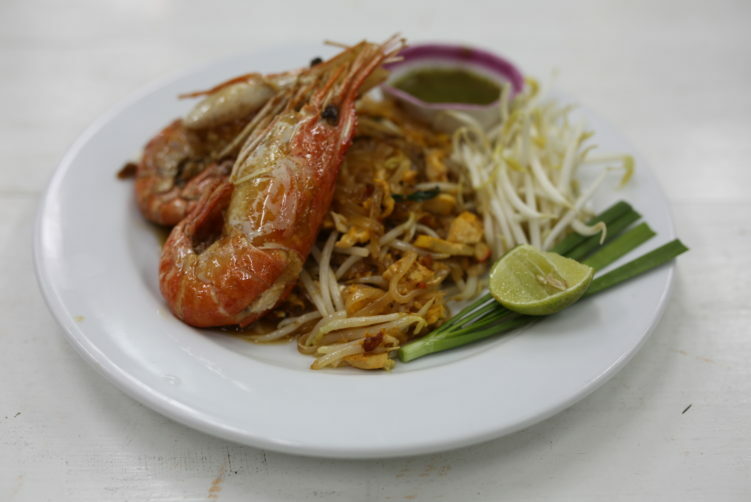 Will it be on my short list of the better Pad Thai spots in town? Yes, it will. Pad Thai Ekkamai have plenty of Pad Thai versions on the menu, but also plenty of other dishes. The Tom Yam Kung looked inviting, but that will have to be for the next time. At least, judged from the Pad Thai, the cooks knows how to use the wok. What I like is that some of the alternatives comes with Banana flower. A beautiful flower whit its pink color and yellow dust when it’s still attached to the palm. But before it reaches it’s incredible beauty, some of them ends up on the dinner table. Pad Thai vendors or restaurants serving banana flower salad are typical dishes where it is used. The inner rolled leaves of the flower are very delicate and is served as a side ingredients to Pad Thai. The service is friendly, but English is only spoken by the women, and she is not always there. The guys concentrate on the food preparation. 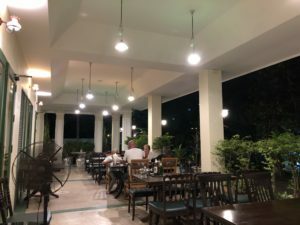 Pad Thai Ekkamai in Soi 19 is rather deep into the Soi Ekkamai (Sukhumvit Soi 63), so going there include a 5-6 minutes motorbike taxi or 10 minutes with a normal taxi due to traffic from BTS Ekkamai. The good thing by going there is that you have some of the best egg noodles with pork next door. viagra without a doctor prescription usa Price: 45 bath – 250 bath. My version was 150 bath. Standard Pad Thai is 45 bath. Address: 303/4 Sukhumvit Soi 63. Between Ekkamai Soi 17 and Soi 19. How to get there: Take the BTS to Ekkamai and (motorbike) Taxi from there. Walking will take you 20-25 minutes. Bus #23, or #72 are alternatives. 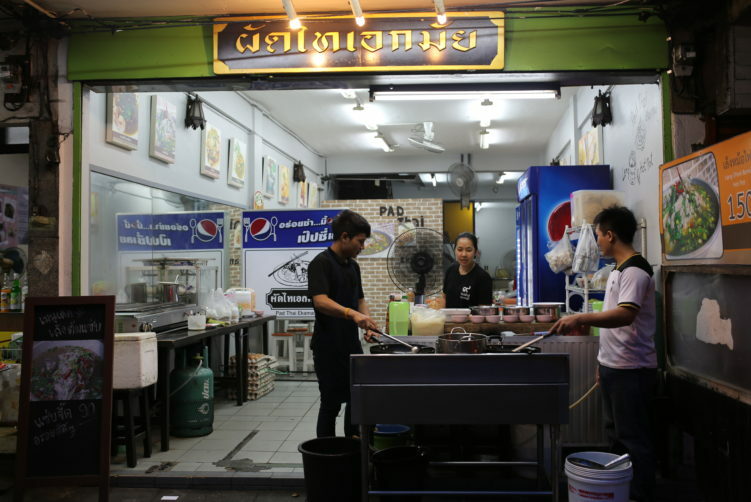 Pad Thai Ekkamai is the second shop from the corner of Soi 19, heading down towards Soi 17. Pad Thai Ekkamai makes one of the better plates of Pad Thai in Bangkok. 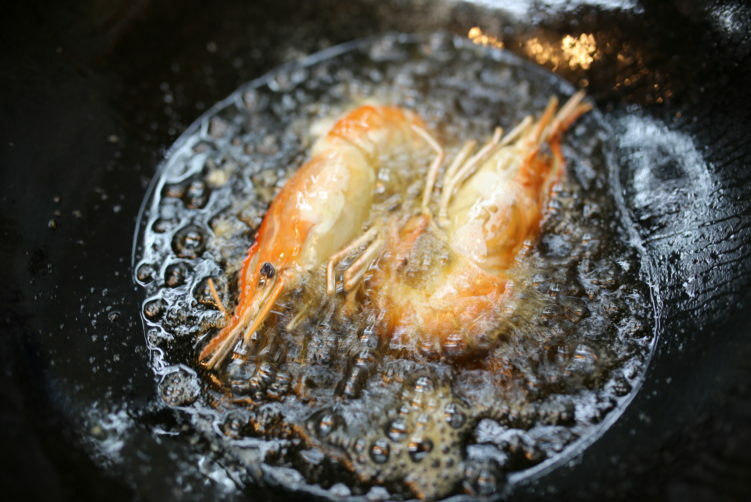 Standard is 45 bath, while the river prawns version will set you back 150 bath. It is delicious and obviously something very different from the usual 4 small shrimps you get most places. It comes with their homemade chili, garlic and lime sauce, something you normally don't get most places. See full review at StreetsideBangkok.